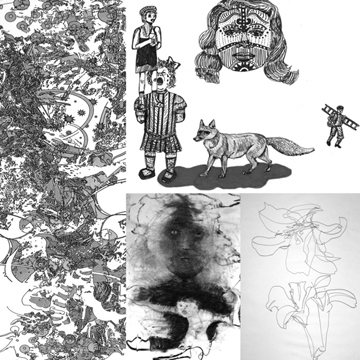 Tatiana Golovnya-Miller will be exhibiting giclée prints of her drawings at 25CPW in "Images: Six Perception" from June 16-19, 2010. The opening reception will be June 16 from 6-8 PM. 25 CPW is located at 25 Central Park West, NYC. 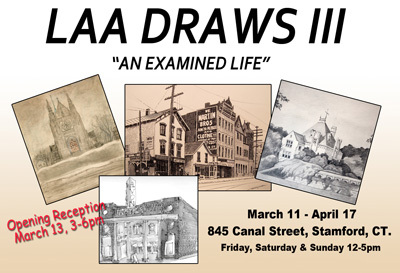 The show is presented in collaboration with Grant Gallery. Golovnya-Miller's drawings are colorful and lively, and straddle the border between folk costume design and fine art. The drawings are part of a book project that has a seasonal focus, and pieces from each season will be exhibited. These are not simple fashion illustrations. Ms. Golovnya-Miller's artist statement grounds the costumes in the context of their role as documents; Russian costume reflects the influence of surrounding and far-flung nations over hundreds of years while remaining "Russian". Golovnya-Miller was born and educated in Moscow, having achieved degrees in both piano and screenwriting, and worked in the Russian film industry. When she moved to New York City nearly thirty years ago, she attended FIT and the School of Visual Arts while working in advertising and fashion design. She began making drawings and writing while absorbing and mastering the English language. She continues to work in both mediums. Others in the multiple-discipline show include Natalia A. Kram, Udita Leberg-Shapiro, Tatiana Migdal, Edina Seleskovic, and Natasha Zyablova.